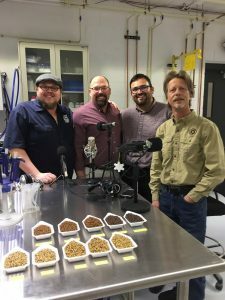 In Episode 8 of the Tap Takeover Podcast, the boys pay a visit to Proximity Malt in Milwaukee for the first in our Maltster Interview Series! They’ve opened up a new storefront in Milwaukee’s Fifth Ward, and Dave Kuske – Vice President of Operations – was gracious enough to sit down with us and give us the low-down on the recent production expansions in Colorado and Delaware. Dave gives us a tour of the facility which houses state of the art malt equipment, we find about his start as a home brewer and how it led him to Proximity Malt, and we also do our first live wort tasting! Plus breaking beer news! We hope that the next time you are enjoying your favorite beer, you take a second to think of all the hard work that goes into perfecting the exquisite malt in that beer. Cheers! Get ready for another Tap Takeover Podcast Road Trip as we continue our Brewery Interview Series! 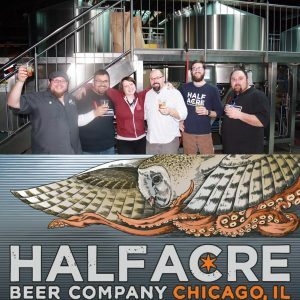 This time it’s a visit to Sweet Home Chicago as the crew sits down at Half Acre Brewing with Head-Brewer Matt Young and Brewery Sales-Rep Kelli Playtek to discuss all aspects of the Craft Beer Industry. 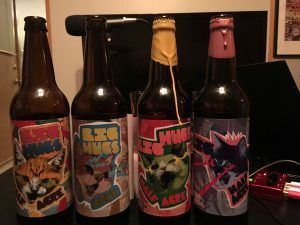 We’ve got a handful of your Listener Questions to ask and answer, Breaking News on the “Heavy Gem Collaboration” between Half Acre and Tired Hands Brewery, and a Live Tasting of all 4 variations of the 2017 Big Hugs Imperial Coffee Stout series! Plus, there’s a controversy a-brewing as we discuss the pro’s and con’s of aging those big beers versus enjoying them ASAP. 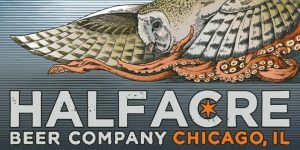 Grab a tasty beverage and join us for the incredible opportunity to spend time with the folks behind one of the hottest, most eclectic breweries in the country! Let’s Roll Out the Barrel! 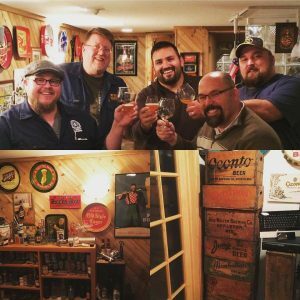 TTP Episode 7 – Half Acre – Coming Soon! 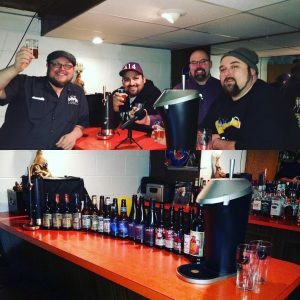 Episode 6 finds the Tap Takeover Podcasters in Waukesha, Wisconsin for a “Special Release” Edition of our Brewery Interview Series! 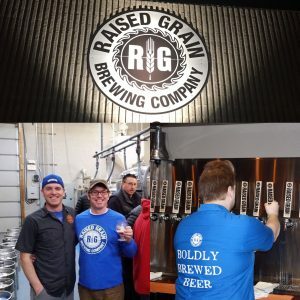 This week we sit down with two of the owners from Raised Grain Brewing, Nick Reistad (Sales & Marketing) and Dr. Scott Kelley (Head Brewer), to hear the story of their serendipitous partnership. And the Tap Takeover Posse gained a few new members at Raised Grain’s Special Release Party for their Belgian Quad – Le Trois Docteurs. Join us for some live interviews with the revelers standing in line at the big event! Plus, we want to hear all about business strategies for succeeding in a crowded market, growing organically through boldly brewed beers, and winning more awards like last year’s GABF Gold Medal in the Imperial Red Category. We’ve got stories to tell! Cheers and Sante! 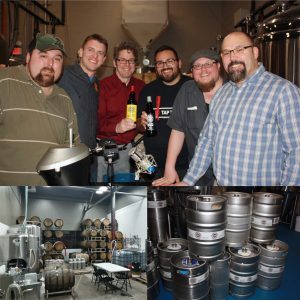 The Tap Takeover Podcast Crew are back for Part 2 of our interview with WisconsinBreweriana.com’s Dave Olson. We’ve got more cellar-aged beers to try with our Cicerone-Server, including an assortment of Dogfish Head Ales from Dave’s personal stash. Plus we’re talking more history and collectibles. Bottles and Cans – clap your hands! Dave’s got the lowdown on the history of bottling and canning in the beer industry, and the collection to showcase that knowledge. Grab a beer and join us for a trip through yesteryear! Cheers! Come on out and join the Tap Takeover Posse as we help the crew at Raised Grain Brewing in Waukesha, WI celebrate the special release of Les Trois Docteurs – Belgian Quad! Bomber bottles will be available at the taproom at 10am Saturday March 11 until they are gone. And they sold out at their last event in 1.5 hours flat, so plan to come out early and meet some of the Tap Takeover Podcast Crew as we do live interviews and spread the word about Wisconsin Craft Brewing! Brewed with 100 pounds of Pinot Noir grapes from the award-winning Abbelone Winery and aged on oak for sixth months, this Belgian Quad is intensely complex with delicate flavors of Burgundy and banana esters. Take a listen to a quick 3-minute preview of Tap Takeover Podcast Episode 6 – Raised Grain to hear Nick and Doctor Scott let us in on the brewing process and flavor profile of this delicate behemoth! Bottles are $15, limit 2 per person, and they’ll be tapping the first of four kegs at 10am so you can grab a glass after you pick up your bottles! Cheers and Santé! The boys at the Tap Takeover Podcast are leaving the comforts of the Solid Non Fail Studio this week to hit the road for our new Home Brewer Interview Series. We hit the road to crack a few beers with Dave Olson, founder of WisconsinBreweriana.com, a website dedicated to the collection and preservation of Brewery Memorabilia. But that isn’t all we’re up to in Part 1 of our two part interview! Dave is a craft brewing renaissance man: award winning homebrewer, beer cellar collector, as well as a Cicerone Server with his eye on the Master Cicerone certification. One interview simply wasn’t enough to handle all of the amazing historical knowledge, homebrewing expertise, and cicerone-server tasting techniques that Dave brings to the table. Check our Facebook and Instagram for the tap list from the interview, crack a cold one with us, and enjoy Episode 5 Part 1! Cheers! A quick two-minute preview of Episode 5 (Part 1) from the Tap Takeover Podcast dropping soon! 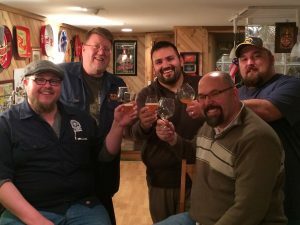 Amazing interview with Dave Olson of wisconsinbreweriana.com. He drops some knowledge on the history of beer and shares some of his award winning home brews! Cheers! In the latest episode of the Tap Takeover Podcast, the boys are back for a very special installment of the Brewery Interview Series! Henry Schwartz, owner of Mobcraft Brewing, is taking over the taps this week. And we could alternately call this episode the “sour hour,” as Henry attempts to take us to sour Jesus with his limited release Existence Sour Ale (aged three ways)! Jim gets to nerd out about yeasts and bacteria, we tackle the shark tank experience, discuss rude beer name suggestions, and delve into some of the crazier concoctions dreamt up by the imaginative clientele of this crowd-sourced brewery. Plus, in our second half, Henry attempts to drop more breaking news than we can contain in one podcast! Cheers to the Sours! 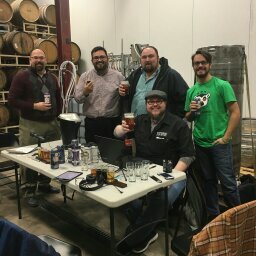 Welcome to the 3rd Episode of the Tap Takeover Podcast! This one is going to get epic in the Solid Non Fail Studio. 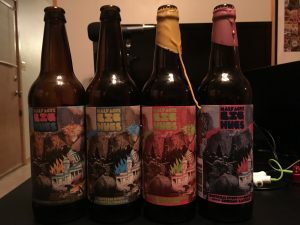 Alex and Andy recount their Beercation to Michigan in December for the Dark Horse 4 Elf party, as well as stops at Bell’s, the Livery, and even some Odd Side Ales thrown in for good measure. Jesus and Jim join in for the fun and an extensive tasting of Bourbon Barrel Aged Stouts, Maple Porter, Triple Weizenbock, and Russian Imperial Barley Wine Stout. 18 beers in all! Grab a cold beverage and join us for an adventure as we take a walk down memory lane, as well as a step into the future of barrel-aged beers. Cheers!